At Anne Nelson Vets we are committed to protecting your privacy. Within this notice we explain the reasons for processing your data and the lawful basis that permits us to process your data and your rights regarding your data. We collect personal details such as your name, address, telephone numbers and email address. We collect this data at the time of registration and upon subsequent visits to the practice. GDPR allows us to process data for specific reasons only. The main reason for processing your data is in order to fulfil a contract for the provision of veterinary treatment to your pet/pets. 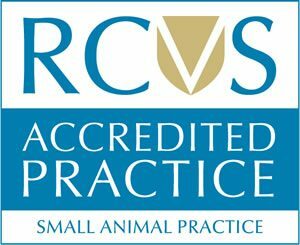 We will also use this basis for the following: the processing of insurance claims on your behalf, the use of external laboratories for sample testing, setting up and maintaining pet health plans, referrals from animal charities and referrals to veterinary specialists. We also process data under legitimate interests which would include vaccination and appointment reminders, sending history to another veterinary practice if a request has been made, dealing with any legal claims against us and the use of debt collection agencies. We require your consent for processing data for the following reasons; the sending of newsletters, promotional material and information about pet health. You can withdraw your consent for this at any time by emailing the practice at info@nelsonvets.co.uk, by telephone on 0208 686 6070 or in person. We will keep your data for a period of 7 years after the completion of the last veterinary visit. After this time we will delete your records unless you request otherwise. Hardcopies will be shredded. Personal data is kept in password protected IT systems. Hardcopies are kept securely on the premises. We do not share your data with any third parties unless we have your written or verbal consent. The following people have access to your data; staff members at Anne Nelson Vets and business’s that manage our computer system and reminder services. These companies take appropriate security measures to protect personal data. You are able to raise a complaint with the ICO if you think your rights have been breached. They can be contacted on 030 3123 1113. Their postal address is: Information Commissioner’s Office, Wycliffe House, Water Lane, Wilmslow, Cheshire. SK9 5AF.